Essential fatty acids (EFAs) are the good fats. The E in EFA stands for “essential”, that means the body cannot function in an optimal state without them. EFAs are involved in the formation and function of every cell and every tissue in our body. Yet most people have virtually no understanding of their importance. The fact is, our body is unable to produce EFAs on its own. And because EFAs are necessary for triggering some very vital biochemical reactions, we must ingest the right amount and right ratios of these good fats from our diet or supplement it in order for those reactions to occur and for the good health to continue. 1. Omega-3 fatty acid also called alpha-linolenic acid. 2. Omega-6 fatty acid also called linoleic acid. Alpha-linolenic and Linoleic acids are used by the body to manufacture other fatty acids. 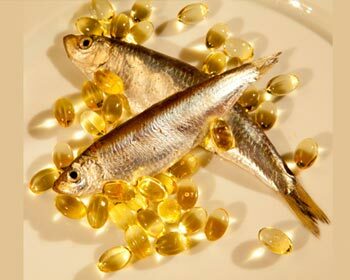 Some food sources of essential fatty acids are salmon, herring, mackerel, dark green vegetables such as broccoli, kale and spinach, whole grain foods, flax seeds, whole eggs, avocados, sesame seeds, sunflower oil, safflower oil, corn oil, evening primrose oil, pumpkin seeds, soya bean oil, corn oil, walnuts, almonds and pistachio nuts. EFAs can be ingested from food or in supplement form. Either way works well but one thing to keep in mind is that most foods are high in omega-6 but low in omega-3. For this reason many find it useful to use a supplement omega-3. If you’re a vegan or vegetarian flax seed oil is a great option for an omega-3 fatty acid ALA suplementation, but fish oil capsules is considered the best source of omega-3s because it contains two specific fats-EPA and DHA. 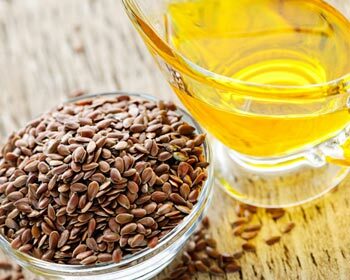 Flax seed oil and other plant sources of ALA lack this and research clearly indicates that the conversion of ALA to EPA and DHA is extremely limited. The best food sources of omega-3s are oily cold water fish, which are high in both DHA and EPA. Examples are sardines, herring, mackerel, salmon, trout and tuna. Both omega-3 and omega-6 fats are healthy and the normal cellular function depends in the balanced ingestion of both. However, it is important to consider the ideal ratio of omega-6 to omega-3. The modern western diet today is very high in omega-6 fatty acids as compared to omega-3. The ratio being 20:1 or even higher. The optimal ratio of omega-6 to omega-3 is more like 2:1 to 4:1. This improper balance of these essential fatty acids is contributing to the many medical conditions such as like diabetes, arthritis, heart disease and depression. One of the reasons for this imbalance is our increased consumption of processed foods, refined grains and vegetable oils used in commercial cooking. Also the industrial production of animal feeds contain grains high in omega-6 fatty. And as the animals feed on these, their meat becomes high in omega-6, unlike the leaner and higher omega-3 wild game that our ancestors once consumed. As we consume the high omega-6 meats and refined grains, we begin to suffer from inflammatory and cardiovascular diseases that were once unheard of. A very safe way to obtain the daily requirements of these essential fatty acids is through high quality supplements. By fixing this imbalance and increasing the intake of omega-3 fats, which we tend to consume too little, we can obtain a long list of health benefits. Stabilizes insulin and blood sugar levels (which reduce cravings).